The Bonanza Networking Series has been created to encourage wealth in business relations and development fostered through networking. Bonanza flaunts the perfect networking platform as it offers a place of quiet streets, a place where the landscape defines your view, and with a signature 18-hole golf course with a fully functional clubhouse, there isn’t a better place in Lusaka to build effective and lasting relationships – be it on the golf course or at the clubhouse. Join us for our debut Networking Series where we invite various industry leaders, colleagues, employees and like-minded people to Bonanza for a Networking Brunch. Here, each delegate will be given a 5-minute opportunity to get up and introduce themselves, their industry, their company and what their business entails, whist enjoying our appetizing brunch. This allows for the perfect business platform – where you can learn about other companies, meet new people AND gain new potential clients. PLUS have the opportunity for a completely new audience to hear about your company and what you do – people that you never would have imagined doing business with before this event! Jason Kazilimani, Jr is the President of both the Zambia Institute of Chartered Accountants and the Zambia Golf Union. He is the Managing Partner of KPMG in Zambia and is also the immediate past President of the American Chamber of Commerce in Zambia, as well as past Chairman of the Finance, Investments and Audit Committee of the Lusaka Diocese of the Anglican Communion. He is also a member of the Audit and Risk Committee of the National Prosecuting Authority. He has gained vast audit, accounting, consulting and governance experience over his 24 years’ experience with KPMG in Zambia, the United Kingdom (2 years) and Nigeria (over 4 years). He is a Fellow of ZICA and the Association of Certified Chartered Accountants, and is also an Associate of the Institute of Chartered Accountants of Nigeria (ICAN). 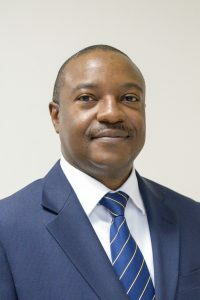 Prior to joining KPMG, he worked for ZCCM Limited for 2 years as capital accountant in the Group Accounting unit of its Accounting and Finance Department in Kitwe between 1992 and 1994. Jason is passionate about leadership and is a mentor to many. He has spoken at conferences of professional bodies on several occasions and has also contributed articles to some journals.